The Fortnite World Cup will take place in New York City at the end of July with the top 100 Fortnite players and Top 50 teams in the world vying for $30 million, which is the largest prize pool in the history of esports. 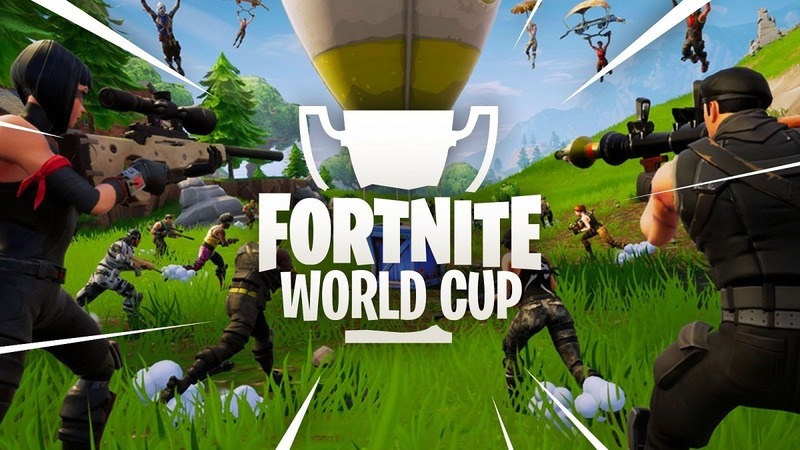 Epic Games, the creator of Fortnite, announced that the Fortnite World Cup will take place on July 26 through July 28. The location is TBD. The lead-up to the World Cup includes weekly open qualifiers from internet players that are worth up to $1 million in prize money. First place in the solo competition will win $3 million. Everyone who makes the finals will win at least $50,000. The Top 50 teams will include two-person duos. The $30 million prize pool for the Fortnite World Cup will eclipse the previous record by nearly $5 million. Dota 2’s The International had a prize pool worth $25.5 million. The open qualifiers for the Fortnite World Cup begin on April 13. The qualifiers will run weekly through June 16. This is the chance everyone has been waiting for. Eligible players will be fighting and building their way to a weekly title with $1 million at stake. Who Can Play in the Fortnite World Cup? That is a great question. I’m sure your nine-year old is an amazing Fortnite player, but you have to be at least 13-years old to play. Players between 13 and 17 require consent from a legal guardian. Epic Games stated that players must be in “good standing” with the company. That means no trolls, rotten apples, and cheaters. Especially cheaters. They will not allow participants with previous “undisclosed violations”. “Any player that is determined to be cheating will be removed and permanently banned from Fortnite,” according to Epic Game. Before the World Cup begins, Epic Games will be vigilantly monitoring for cheaters. They beefed up security to prevent in-game hacks. In addition, Epic instituted a zero-tolerance cheating policy. According to a post on Epic Games’ developer blog, there will be multiple ways to win cash prizes this year. You do not have to qualify for the Fortnite World Cup for a chance to win cash. Fortnite will be releasing specific information about other tournaments through their various social media channels. This bodes well for players all over the world who can compete in both global and regional events. Fortnite continues to be the most popular game on Earth. The 100-person battle royale survivor game took the world by storm in 2018. When Epic Games released mobile versions of Fortnite last year, the game’s popularity spiked exponentially. The high-action game is popular because it appeals to players of any age. Amateurs and pros often play in the same contests, which makes it feel a little but like the online poker boom days. Ninja, known in the square world as Tyler Blevins, is one of the most popular streamers in the world because of his prominence in Fortnite. On an episode of The Tonight Show with Jimmy Fallon, Ninja recently equated pro gamers to professional football players. Pro athletes in various sports are fond of Fortnite, including this year’s NFL MVP Patrick Mahomes. In one of those “jumping the shark” moments, the quarterback from the Kansas City Chiefs even got killed by someone wearing his own jersey. The Vancouver Canucks are one of the few pro sports teams in the NHL to ban Fortnite. The vets thought their youngest players were wasting too much time on the game, including sacrificing sleep. The New York Knicks are experiencing their own Fortnite problems. The worst-team in the NBA is also one of the youngest and their players are staying up at odd hours to play. Instead of partying on the road, several of the young Knicks stay in the hotel rooms for lengthy Fortnite sessions. That includes the Knicks best player, rookie Kevin Knox, who is only 19-years old. Forbes Magazine even reported about the growing trend of parents sending their children to rehab because their lives were taken over by nonstop Fortnite. There’s a fine line between a video game habit and an addiction, and Fortnite certainly flirts that razor’s edge.